I have a view.php?id=# file that takes in an id #, takes it to my mysql db and fetches all the info and pulls up a flash movie that corresponds to the ID. Is there any way to do this more efficiently? If the information in the database is needed for each and every hit, I don’t see anything you could do differently. Obviously one could just dump the HTML document to a static file and link to the static file instead. Allowing queries directly against your database using url parameters is risky business. 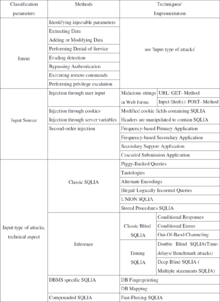 You might want to take a quick look at these articles on SQL injection. If i wanted to keep a hit counter, would it be better to do it through msql or some other way?